OK, that’s more of a paraphrase than an actual quote, but still. Really? 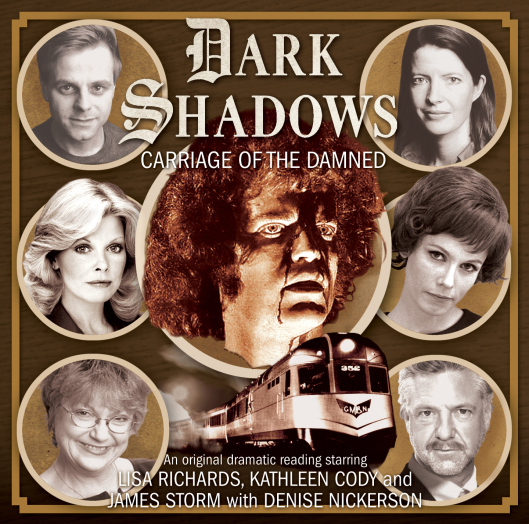 But that aside, there are some particular delights to be found for those more familiar with the series, placing Carriage of the Damned firmly within the confines of what’s becoming an increasingly expanding catalogue of quality Dark Shadows audio releases. “Did you ever hear the story about the boy who cried wolf? Jam packed with original cast members, this will go down in history as the one where Amy Jennings met herself…well, televised Dark Shadows-era Amy (Denise Nickerson) meets audio Dark Shadows-era Amy (Stephanie Elleyne). James Storm also joins the cast of Dark Shadows veterans here, reprising his role as the sinister Gerard Stiles…”or at least, some of him,” as Sabrina demonstrates, showing off her prize exhumation to the other passengers. 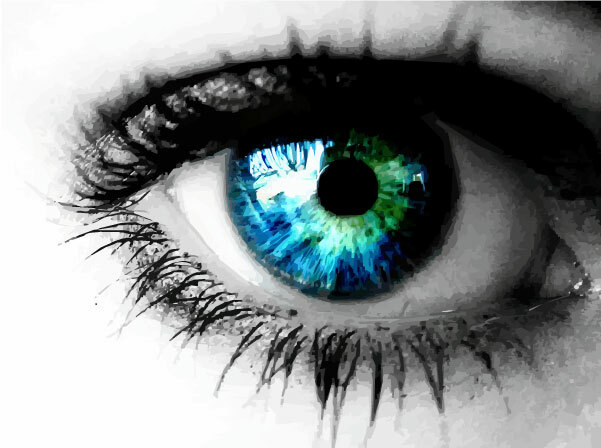 “…That’s disgusting,” Samuels replies, drily. Lucy Scott (Nurse Pauline Brown of last month’s The Happier Dead) returns as the same character, as does Barra Collins (of The Harvest of Souls and Curtain Call) who takes on the role of porter Matthew Samuels. You really can’t go wrong with a story set on a train. Like the old dark house or locked room mystery, a set of disparate characters and literal strangers are thrown together in confined quarters…how can strange doings not result? With a subtle underpinning of tongue in cheek humor poking its head in halfway through (“train tamperer!”) and more than its fair share of supernatural doings, this is as Dark Shadows as it gets, particularly with so many original series veterans rerturning to the series for what amounts to the first time in four and a half decades (Nickerson, Cody, and if you don’t count a cameo near the end of Curtain Call, Storm). Richards is getting to be something of an old hand at these, having appeared previously (however briefly) in The Flip Side and three earlier installments I haven’t yet been exposed to. Elleyne, of course, continues to essay the role of Amy Jennings quite brilliantly, infusing her ongoing portrayals with equal measures of wry humor and grim cynicism as befits a woman who since childhood has been marked by the spectre of death and the supernatural. Despite a somewhat overcrowded script, author Alan Flanagan delivers a tale boasting an underlying theme of the necessity for forgiveness. Suffice to say Callie is forced to confront an uncomfortable truth about Stiles…and Nurse Pauline must face an even more difficult one about herself. With several characters dealing with some form or another of survivor’s guilt, the stories of Sabrina, Amy and Pauline wind together comfortably with the separate if related ones of Callie and even Stiles himself to add a measure of poignancy to all the spooky goings-on and touches of humor. In all, this is definitely a win-win for Dark Shadows regulars, if a bit too much, and far too busy, for a newcomer to take in all at once.